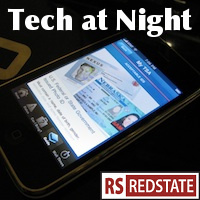 Tech at Night: The Internet Sales Tax roll call. Obamaphone survives. Do people care about Privacy? Tech at Night: Julius Genachowski out at FCC. Senate passes Sales Tax amendment. Ron Johnson on Cybersecurity. Tech at Night: FCC threatening rural broadband competition. Jeff Flake. Jeff Sessions. Ron Johnson. Tim Scott. Ted Cruz. Marco Rubio. Mike Lee. Rand Paul. I’m generally pleased with all eight of these guys being in the Senate. They were on opposite sides of the sales tax compact amendment vote, though. If you look at the way Governors split on the issues, you’ll see similar responses. Effective conservative Governors have fallen on both sides, including neighbors Haley Barbour and Bobby Jindal. I’m fine with the compact. It’s Constitutional and merely lets states preserve existing revenue streams, without having to defy basic economic reality by unilaterally cooperating in the rewrite-the-sales-tax Prisoner’s Dilemma. That is, any one first state that shifts from buyer-owes to seller-owes in sales tax, creating the marketplace of sales taxes that compact opponents favor, automatically creates a disincentive for businesses to set up shop there. So, we pass the compact as the best practical solution. Recently at RedState: Ajit Pai on Robert McDowell is worth a read. Then there’s Seton Motley on Marco Rubio challenging Internet regulation. Obamaphone succeeded in the Senate, 53-46, with Claire McCaskill joining Republicans to try to end the subsidy. It’s a pretty obvious point but the next FCC chairman will have a key role with Net Neutrality should the courts throw it out again. This poll says people care about privacy, but I think the actions of the people in the marketplace are a better indicator. They don’t care. Because you know what? They keep feeding data to Google. FA may finally give up on the sham regulations on telecommunications during takeoff.